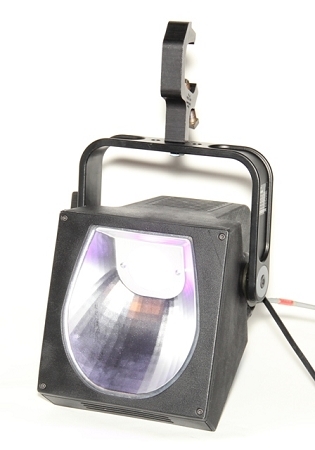 A breakthrough in cyclorama lighting the PLCyc MK II LED Luminaire delivers smooth even cyclorama lighting in a compact light weight design. Using just 150 watts of power to illuminate drops up to 15 feet high each unit can replace the equivalent of a traditional 4 color 500 watt luminaire. Up to 9 cyc units can be powered from a single circuit using our convenient Powercon cabling system for power along with standard DMX cables. The PLCyc LED Luminaire may be used for top or bottom lighting with units spaced on 4 foot centers for optimum performance and value.